Alli has been available for purchase over-the-counter for several years and was very popular when it was first released in 2007. You can lose weight fast with these pills. Like many other weight loss products, Alli promises to provide safe and effective weight loss without sticking to a strict diet and exercise routine. And, like a large majority of trendy diet pills, Alli fails to deliver positive results for many individuals. 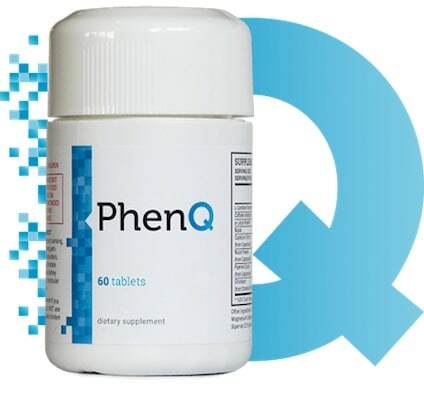 Read on to find out more about this FDA approved diet pill, the reasons why so many people believed it would work, and adverse effects that are associated with it. Alli is a dieting program that centers around taking an over-the-counter weight loss pill. While the concept of taking diet pills to lose weight is not a brand-new concept, Alli was the first pill of its kind to be approved by the Food and Drug Administration. It works by decreasing the amount of fat that is stored in the body, allowing you to continue to eat the foods that you love, while still losing weight. Even in the beginning when Alli was most popular, users complained about the side effects that were associated with Alli such as frequent visits to the bathroom and hormone dysfunction. The active ingredient found in Alli is Orlistat. It works by attaching itself to fat contained in the foods that you eat. When the fat enters the digestive tract, Orlistat attaches to it and blocks it from becoming broken down by the natural enzymes in your body. Once that happens, the fat passes through your digestive system and eventually exits through your bowels as waste. Basically, while taking Alli, a portion of the fat that you eat turns into a source of fiber, which means that less fat is being absorbed by or stored within the body. Orlistat has long been prescribed to individuals who suffer from obesity. When it was announced that it would be the primary active ingredient in Alli, consumers were eager to try the new diet pill that contained prescription strength ingredients. Orlistat may also be referred to as Orlipastat, Orlistal, Orlistar, Orlistato and Orlistatum. Another oral weight loss medication that contains orlistat is Xenical. This prescription drug is used in adults and adolescents to treat obesity and aid in weight loss. It is a gastrointestinal lipase inhibitor and works by inhibiting the digestion of fats. Orlistat works by stopping the enzymes that break down triglycerides or fats within the intestines. When this type of activity is blocked, the triglycerides that are contained in the food that a person eats are not converted into absorbable fatty acids. Instead, they are passed through the body’s digestive system as waste. Only small amounts of the drug are absorbed by the body. The main effect of Alli is that it blocks natural lipase activity that occurs within the gastrointestinal tract once the drug has been taken. It is recommended that adults age 18 years and older taking Alli consume one 60 mg capsule with each meal that contains fat. Individuals taking the weight loss pill should not exceed the maximum of 3 capsules per day. Alli should be used along with a reduced-calorie diet plan in order to receive optimal results. Most individuals who take Alli as directed are able to see results within the first six months. Anyone who stops taking Alli and begins to gain weight back should re-start taking 60 mg of Orlistat again while continuing a healthy diet and exercise plan. Experts suggest that anyone taking Alli should also take a daily multivitamin at bedtime for best results. Alli was approved by the FDA on February 7th 2007. Manufactured by GlaxoSmithKline, Alli was the very first over-the-counter weight loss pill to be approved for use by overweight individuals over the age of 18. Prior to the release of Alli, the active ingredient orlistat was available in various weight loss medications by prescription only. Alli has helped many people lose weight effectively. However, it does have many flaws that can cause interested consumers to back away. Since Orlistat causes large amounts of fat to be converted into waste, this means that individuals who take the OTC drug will have more frequent bowel movements. Taking the maximum dosage of Alli each day could cause issues within the GI tract such as chronic diarrhea, poor bowel control and loose stool. Some Alli users have reported to have symptoms of liver disease such as persistent nausea, stomach pian and dark urine. There have also been some users who have experienced symptoms often associated with kidney stones such as painful urination, back pain and pink or bloody urine. Recent reports have shown that the ingredients in Alli are now being linked to Colon Cancer. Studies have shown that Alli has caused pre-cancerous lesions to form in the colon. These new findings have many people wondering if the FDA should have approved this drug for non-prescription use. While it is not certain that these pre-cancerous lesions will always convert into colon cancer, it is recommended that anyone who has taken Alli for a long period of time should have a colonoscopy to check for polyps.